Paradise Wildlife Park in Broxbourne had plenty to celebrate earlier this month. 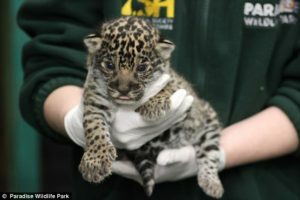 Not only did they launch new charity, the Zoological Society of Hertfordshire, but also announced the birth of the first Jaguar cub in Britain. The female cub, who is yet to be named, was born on the 2nd April to parents Kumal and Kedera. Mother and cub are doing well, but will be out of view from the public for the next few months to allow them to bond properly. A close eye will be kept on both at this stage as the cub is still vulnerable, but keepers have been impressed with progress so far. Jaguars are classified as ‘near threatened’ by the International Union for Conservation of Nature, and Paradise is one of only two zoos in the UK, and one of six in Europe, recommended to breed jaguars, as part of the European Endangered Species Programme. 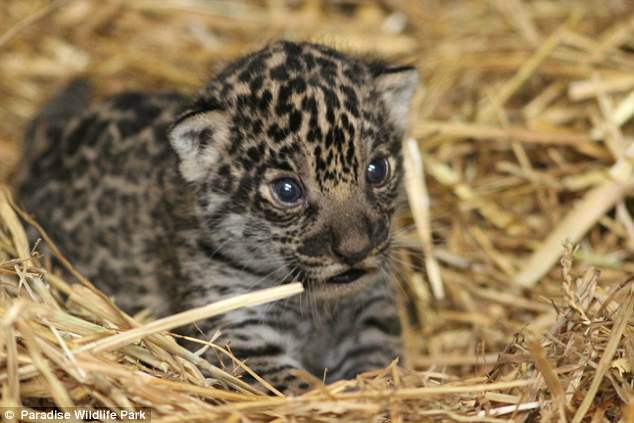 “We’re obviously all delighted at the news of the birth of our jaguar cub. The breeding programmes at Paradise Wildlife Park have achieved some fantastic results over the years, especially amongst our big cats. Paradise Wildlife Park is now working on extending the size of its jaguar exhibit, creating more space for the mother and cub, who when fully grown will measure up to 6 feet long.